I look for a perfect moment like a chef does with dessert or a programmer is able to smoothly watch a binary code dissolve imperfection in order to release a sensual video clip or smoothly disrupt someone’s cherished production. Evolution is hacking at its finest. We will hack the genetic code, we will hack the false concepts of God and her sticky dolls: Jesus, Mohammad. Zarathustra, Janis Joplin, Krishna, Buddha, Microsoft, Honda, Paris and all the other cream poofs that have tricked so many into believing, killing, and drooling in their name. Everything is sensual; everything except religion, spirituality and other mind-numbing fantasies. Breathing is the sexiest thing we can do; breathe in, exhale - unification, growth, immersion, the vital humour of a passionate organismic evolution. We are here now. Last week we were in northern China and the afternoon we left it was -15C. It is in the 30s here – 30+ Centigrade no Fahrenheit like I use to think in. That is the thing with ageing, our thinking changes; perhaps evolution is really a change in our thinking and when people don’t change then we don’t evolve; lessons aren’t learnt, innovations stagnate and business is unable to put us all into debt buying new electronic devices all the time. When we lived in the area: Pt. Elliot for six months, Middleton for a year, both houses along the coast and after that we; the boys and me, lived in Victor Harbor a block from the sea for several years and then in another area in Victor, our lot in life was not that good; nine homes in ten years and too many schools; 1985 - 1995. A couple of years at Mt. Compass Area School, a couple at Pt. Elliot Primary, a couple at Victor Harbor Primary and even awhile at Meadows because my tofu factory (http://tofu.neuage.us) was there, all before middles school. I may have been the stereotypical single parent, male-single-parent at that. I even moved my tofu factory four times in seven years. Maybe it is me that is so unsettled. Since I left my home in upstate New York in 1965 I have had more than fifty homes in multiple countries and states and provinces. I look at where we are staying now and it is so far from when I lived here twenty years ago. There were a couple of years we did not have a car, which is difficult when living an hour from Adelaide. 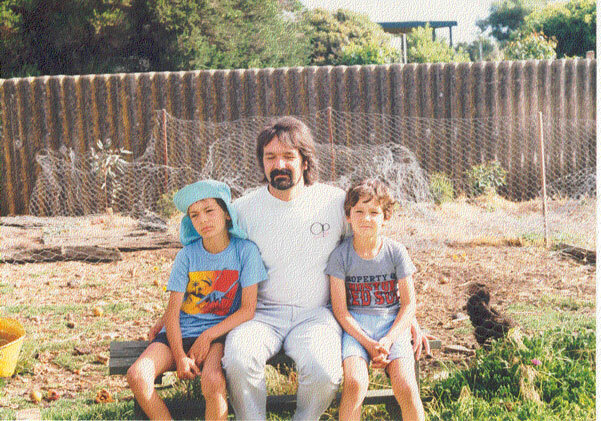 I walked a lot and would send my children on a bus to Adelaide the weekends that their mother would take them. I lost my tofu business in 1988 which was devastating after seven years of hard work but tofu was not a real goer in the 1980s. Now, in China, I buy a large block of firm tofu for about four-RMB which is like 70 cents. I use to sell the same size block of tofu for a buck back in the early 1980s. So I lost my tofu business and car and we lived pretty much in poverty along a beautiful coast. 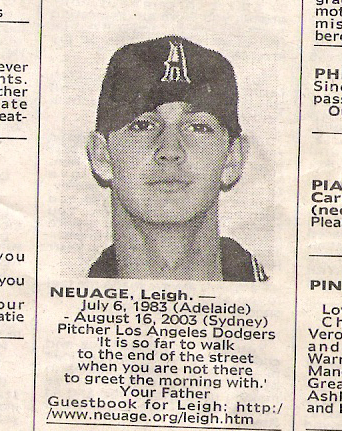 Leigh (http://neuage.org/leigh.htm) started baseball in Pt. Elliot in 1988, he was five and we had a baseball, a bat and a glove. My oldest, Sacha, was not quite so interested in baseball, he was seven and a half. 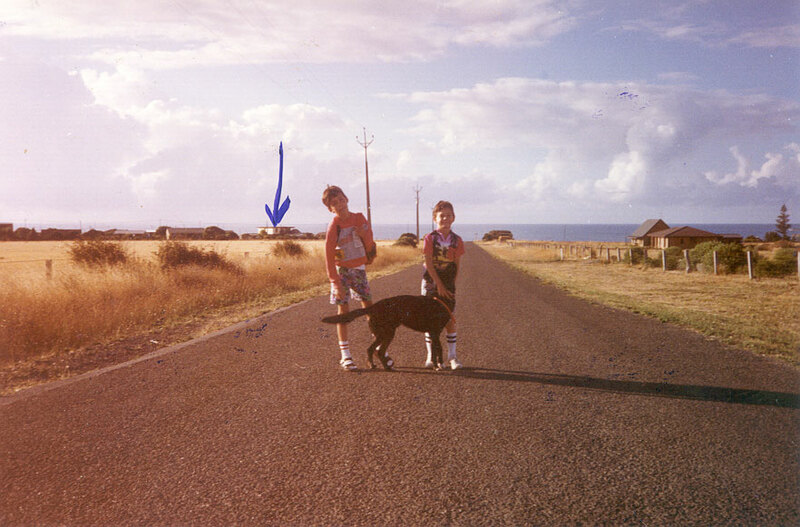 We had moved to Victor Harbor by the time Leigh played his first organized baseball – tee-ball. Sacha played too. Leigh was seven or maybe eight. He started little league when he was about ten – we were still in Victor. 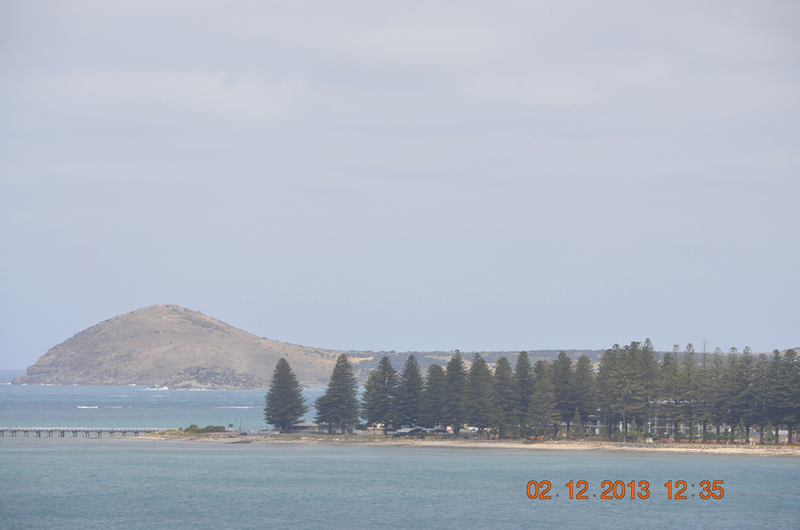 By the time he got into serious baseball we moved closer to the city; Hackham then Christies Beach. He kept getting better. We had spent hours a day on his baseball since he was five. He started representing South Australia then Australia. He played in World Series, firstly at age 14 in the Under 14 World Series in the States, and under 16s in South Africa and under 18s in Canada and in the World Cup in Taiwan. 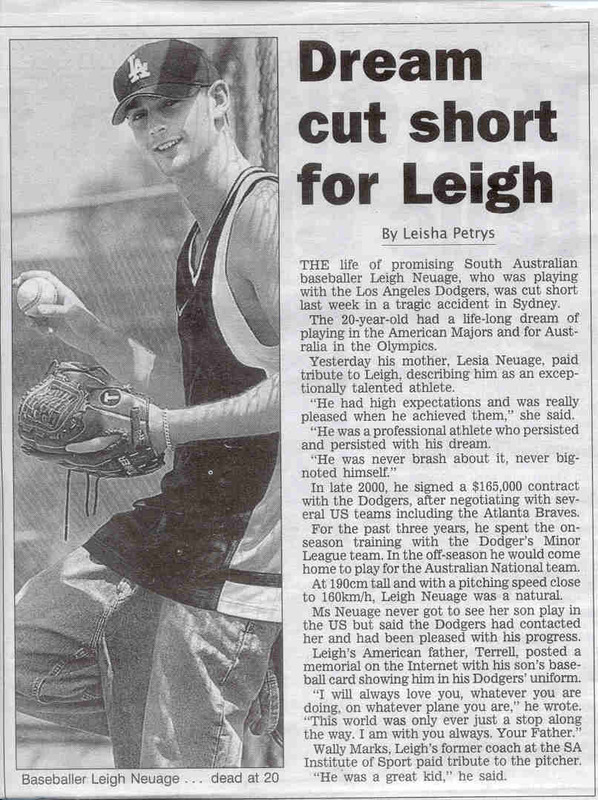 He was in so many teams and was even South Australia junior sports person of the year when the, at the time, world’s number one tennis player,Lleyton Hewitt, was the senior sports person of the year. We did fund raisers and even went to the welfare group, The Smith Family, for funds to pay for trips. I studied and kept getting degrees, Sacha worked on his hip hop, and graffiti – with lots of court appearances at the Victor Harbor court to verify his emerging skills and life seemed it was going well. I had met Narda in 2001 and we got married and moved to New York where I started to teach at the State University of New York and Narda at the Albany Academy for Girls and I was completing my PhD. Sacha was in Melbourne actually making money doing spray art murals for the council and working in a youth centre running drop-in hip hop workshops for street kids. He is still doing that now in 2013; along with working with asylum seekers. 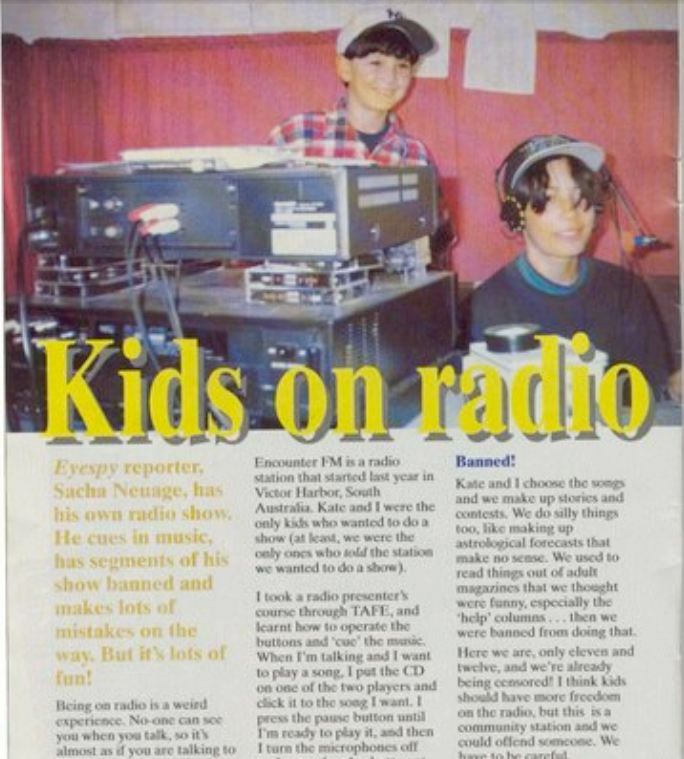 Below, Leigh age 9 and Sacha age 11 at our E-FM (Encounter FM) radio station in a small caravan in Victor Harbor, 1992.